Brass "Lost wax" cast putti and details finished in french gold plate. Marble base full lead crystal bowl. 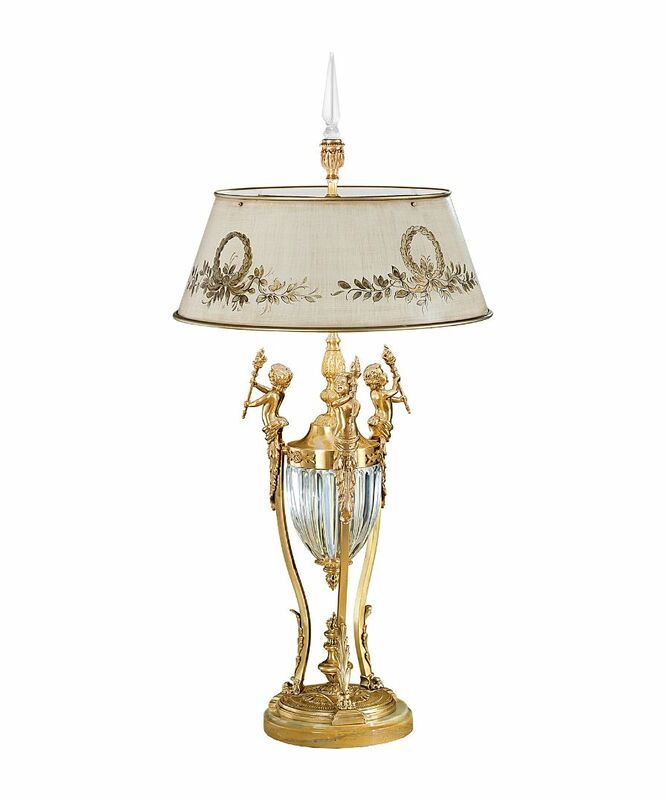 Complete with hand decorated metal shade. Other finishes and colours to order.